The so-called Sportsmen's Act in Congress was always a misnomer. The bill provides a small class of trophy hunters free rein to kill native carnivores or bring their body parts into the United States without delivering anything practical or meaningful for rank-and-file hunters and fishermen. Yesterday, this bad bill became an atrocious one after proponents larded on a series of destructive amendments during a key committee voting session. As a result, The HSUS is calling on the Senate to leave the bill aside and take no further action on it. In yesterday's mischief, U.S. Senator John Barrasso, R-Wyoming, won passage of an amendment to strip federal protection for endangered gray wolves in Wyoming and the Great Lakes states, just weeks after the House and Senate decided to jettison a similar provision from the $1.1 trillion end-of-year spending bill. The proposal from Barrasso, which mirrors a bill he recently introduced with Senator Ron Johnson, R-Wisconsin, would subvert two federal court rulings and cherry-pick a species from the federal list of endangered species for purely political reasons. When wolves were delisted in 2012, 20 percent of their Wisconsin population was wiped out in just one hunting season, including 17 entire family units. 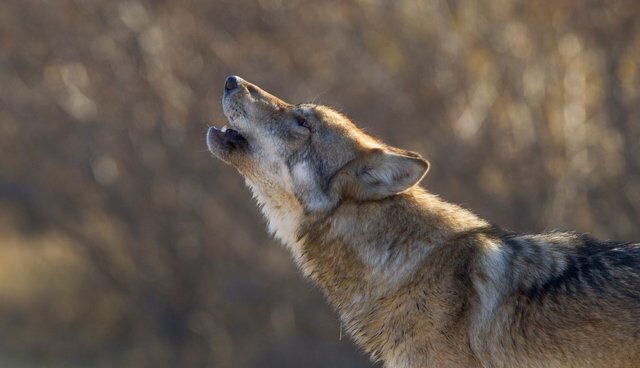 In a three-year period, more than 1,500 wolves were killed in the Great Lakes states alone. The federal courts put a stop to this reckless mistreatment and slaughter of wolves, and politicians shouldn't undercut judicial review of delisting actions. Also yesterday, Senator Dan Sullivan, R-Alaska, secured an amendment to block an Obama Administration proposed rule to stop the worst predator control and killing practices on national wildlife refuges in Alaska. Brown bear baiting, aerial gunning, and other forms of slaughtering our nation's top carnivores should not happen anywhere, but least of all on federal lands designated as national wildlife refuges. Alaska doesn't own the refuges – all American people do – and what a travesty to allow these lands set aside for wildlife to become a playground for the most extreme and inhumane trophy hunters and trappers. The Sportsmen's Act was never really about giving hunters access to public lands, since they already have the full run of nearly 500 million acres of U.S. Forest Service and Bureau of Land Management lands. It was about capitulating to the trophy-hunting lobby and deregulating certain hunting practices. Controversial provisions, including allowing 41 hunters to bring polar bear trophies into the United States and preventing the Environmental Protection Agency from regulating the use of lead ammunition or fishing tackle, are blatant giveaways to a small class of elite Safari Club members and to ammunition makers. There's not one serious-minded deer or duck hunter who gets anything out of this bill. It's easy to attach an innocuous-sounding title to an ugly grab-bag of giveaways to a special interest group. Any lawmaker who claims he's for sportsmen by supporting this bill is guilty of grandstanding, and voters will sniff out this kind of trickery and political bait-and-switch behavior. If Congress exhibits the worst of judgment and caves in to the trophy-hunting lobby by passing this scam of a bill, we call upon President Obama to give it a clean kill shot.